DOWN AND OUT: Sudan’s Bashir steps down, Sudanese take to streets to ‘celebrate’; who is Next? 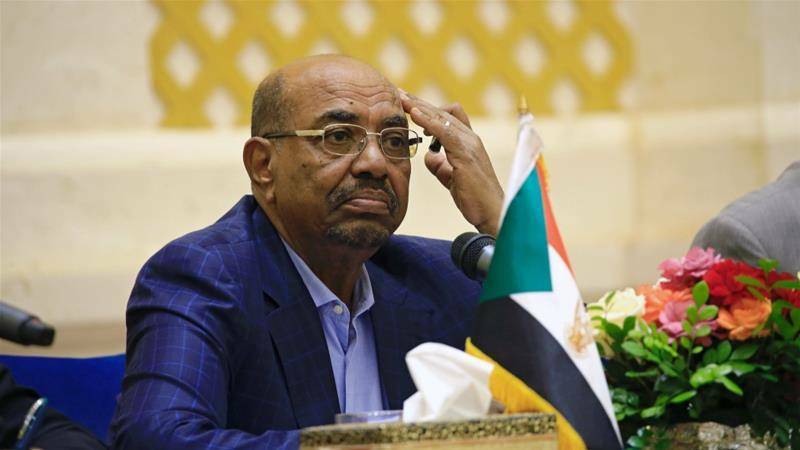 Omar Bashir who has been in power for 30 years is the next second African leader, after Algeria’s Bouteflika, to step down this past month. A respected Sudanese journalist says she understands that a meeting of Sudan’s top military and security brass is taking place right now to discuss who will lead a new transitional High Council of Armed forces. LATEST from a 2nd insider: there is currently a meeting underway at the Military Command HQ between spy chief Gosh, RSF/Janjaweed leader Hemidti, Defence minister & current VP Awad Ibn Auf & head of the police, discussing who will lead transitional High Council of Armed Forces. Sudanese military vehicles have been positioned on strategic key roads and bridges in the capital, Khartoum, Reuters news agency is quoting an unnamed witness as saying. People are chanting “It [the government] has fallen. We won,” the witness said, Reuters reports. The army has announced the formation of a Transitional Council to be headed by Lt. Gen. Ahmed Awad Ibn Auf, who was serving as the First Vice President and National Defense Minister. There are reports NCP second in command and Bashir assistant wanted by the ICC has been taken into custody. A protester has told BBC Newsday that people are celebrating in Sudan’s capital, Khartoum, as speculation grows that the military could force President Omar al-Bashir out of power. Protests against Sudan’s President Omar al-Bashir, who has governed Sudan since 1989, have been under way since December. They were originally sparked by a rise in the cost of living, but demonstrators are now calling for the president to resign and his government to go.